Perfect necklace to make a statement this summer. 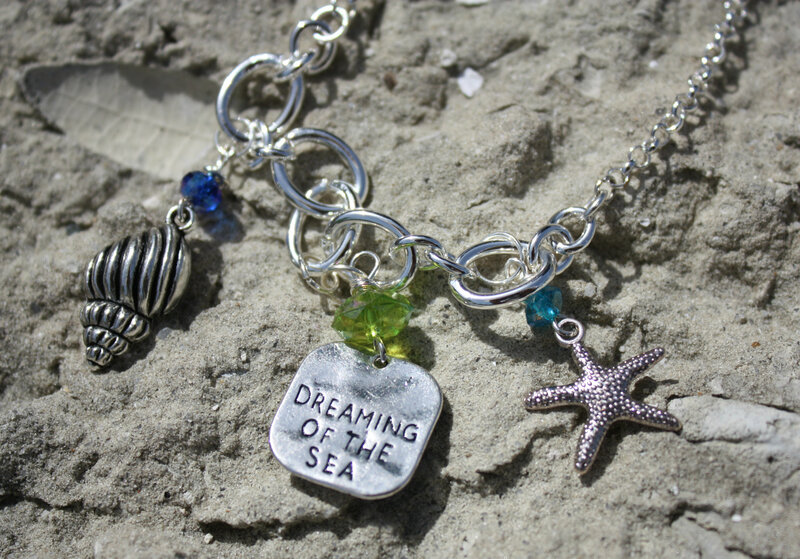 Beautiful 18″ necklace with large links in the front that have a conch shell, dreaming of the sea and starfish charms. 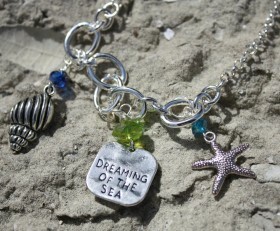 Each charm is accented by a crystal the color of the ocean.